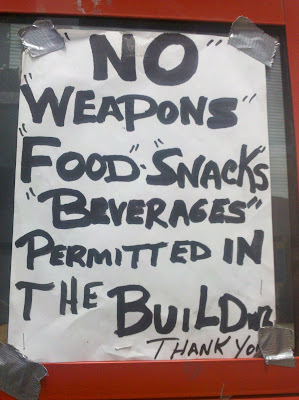 The “Blog” of “Unnecessary” Quotation Marks: "no" "weapons"
So this is obviously a complicated secret code, about something unrelated to food, beverages or weapons. I don't know, exotic pets? Thanks, Elisa. 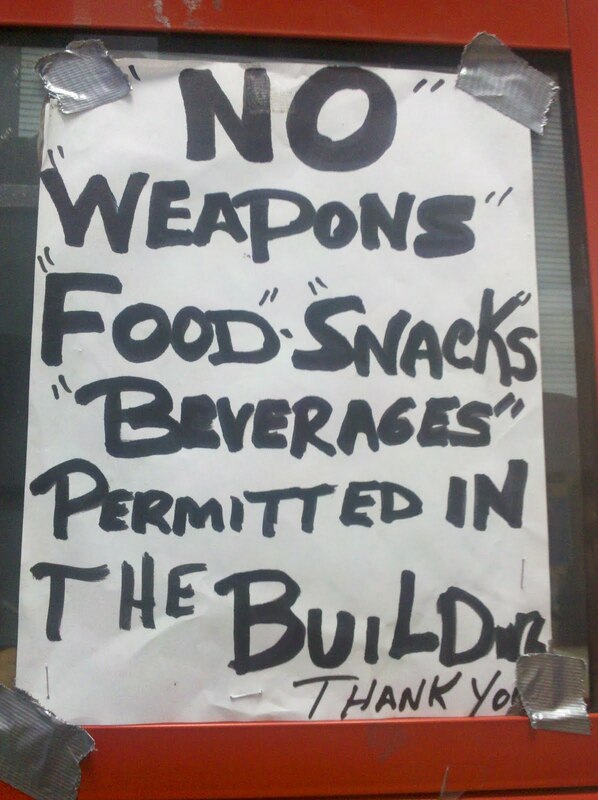 Wow, someone didn't budget space for the word "building." Looks more like "builder."